It's football Sunday... and I've already changed my mani since yesterday! Well, sort of. 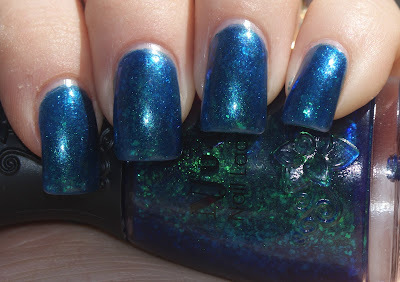 On Saturday, I reviewed butter London Bluey and wasn't blown away by the color. However, not inclined to take off the polish and do it over (and let's be honest, with a research report due Monday morning at 9am), I reached for an effects top coat. 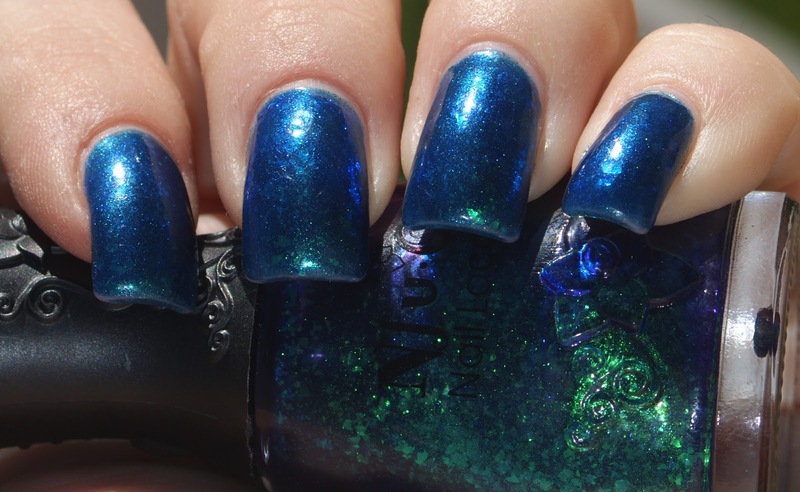 Nfu-Oh 52 is a blue jelly base with emerald flakies. They're really multi-dimensional and change based on the shade they're layered over. 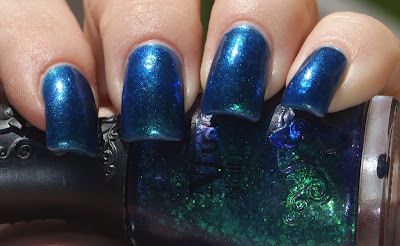 I feel like the ocean is literally on my nails. Are you still aboard the flakie train? Beautiful! I still love Flakies! !